When would you like to stay at Black Bird Hotel - Check Availability & Room Rates!!! 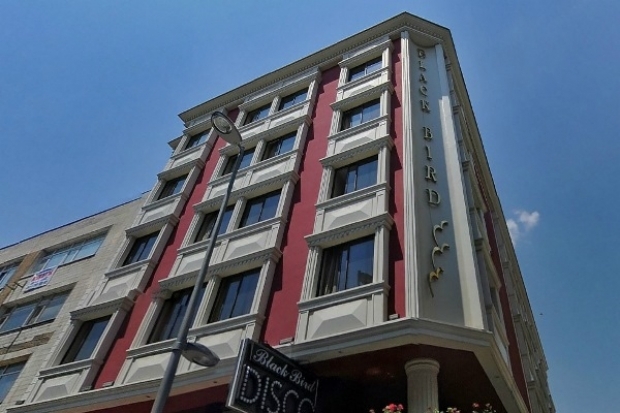 Black Bird Hotel has selected location Due to perfect location most prominent sites as Blue Mosque, Topkapi Palace, Hagia Sophia, Basilica Cistern that so easy to reach all sites during you trip. Black Bird Hotel has facilities such as: Air conditioning, Bathroom phone, Ceiling fan, Coffee/tea maker, Complimentary bottled water, Complimentary toiletries, Complimentary wireless (high-speed) Internet access, Daily housekeeping, Deep soaking bathtub, Direct-dial phone Electronic/magnetic keys, Hair dryer, T.V. Minibar, Private bathroom, Rollaway/extra beds. How far and How long will it take from/to the Black Bird Hotel Istanbul from/to International Airports and cruise Ports. How to meet at Ataturk airport Sultanahmet Transfer Istanbul Airport Transfer How to meet at Sabiha Airport What time should I leave my hotel to catch a flight in Ataturk airport? Istanbul Airport Shuttle Ataturk Airport Transportation Sabiha Gokcen Airport-Lost and Found How to get from Sabiha Gokcen Airport to the city? How to get from Ataturk airport to the city?